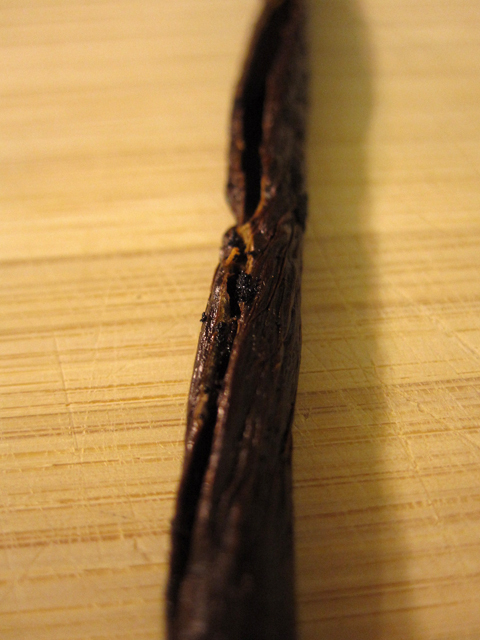 Vanilla beans can be a little intimidating to use, but don’t be afraid of them! They really are incredibly simple to use, and add such an incredible flavor to your desserts. 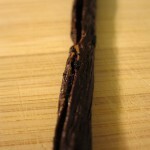 Below is a step-by-step tutorial on how to use vanilla beans, as well as some tips on when to use vanilla beans or the vanilla extract instead. 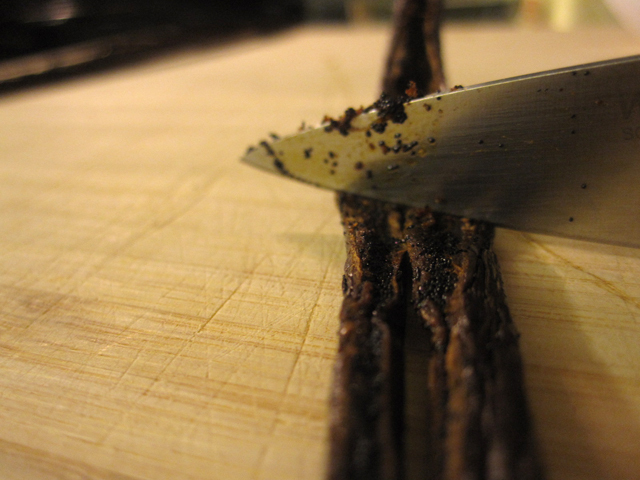 Split the vanilla bean lengthwise down the middle with a sharp knife. Don’t cut all the way through the vanilla bean, just the top to open it up. 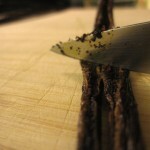 Using the edge of the knife, begin at one end and drag down to the other end, scraping the vanilla grains out of the bean. 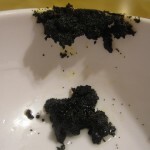 You can add these vanilla bean grains directly to what you’re cooking or mixing. It’s that easy! And don’t throw that vanilla bean away. 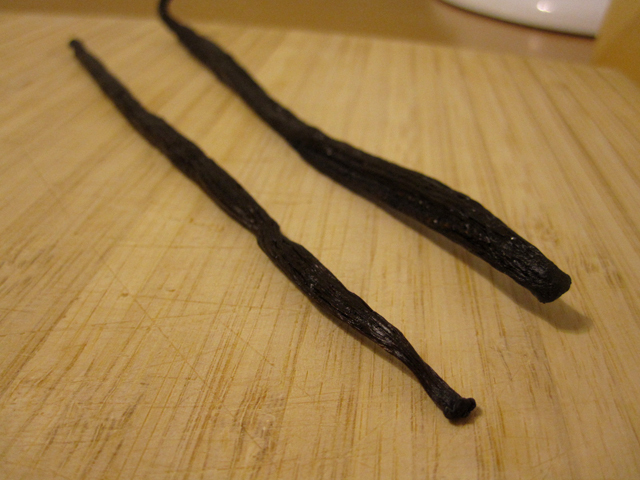 You can bury a dried vanilla pod in your sugar, and stir it around from time to time, to infuse the vanilla flavor into your sugar and make your own vanilla sugar. 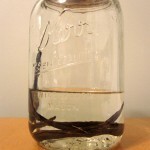 You can also make your own vanilla extract. 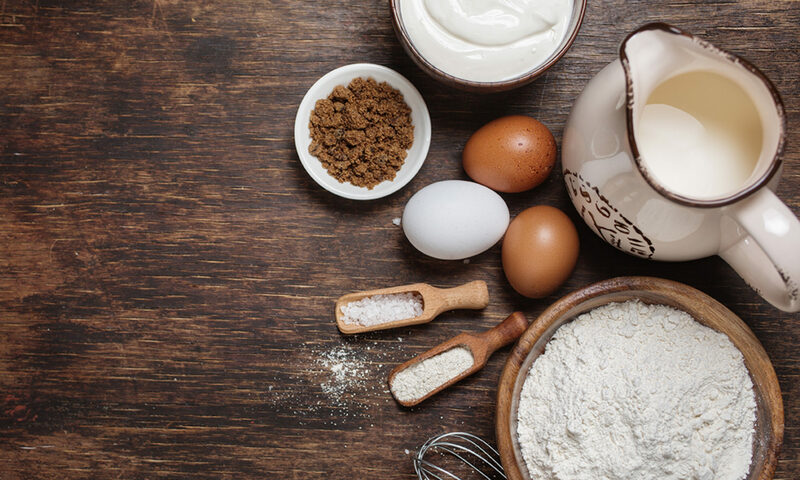 Baking and cooking exposes your foods to heat for a long period of time, which can weaken the vanilla bean flavor. So in your actual cake batters, the vanilla extract would be a better choice since vanilla beans can be expensive. The alcohol may burn off some with the vanilla extract, but you’ll still get the necessary flavor. But for something like a vanilla buttercream frosting a fresh vanilla bean may be perfect! 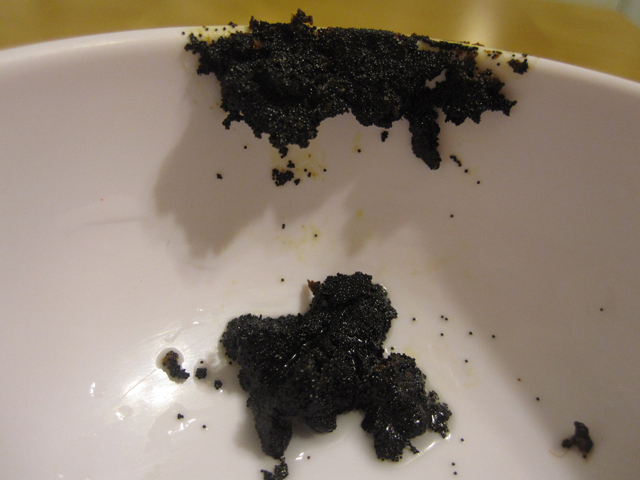 Don’t add vanilla extract to already hot liquids so the alcohol component and vanilla flavor doesn’t evaporate. You can use the vanilla beans in sauces and syrups that aren’t cooked too much and it should retain the vanilla bean flavor. If you’re using a vanilla bean to infuse a syrup, sauce or cream for frosting, you typically want to steep it in the liquid for about 10 minutes. 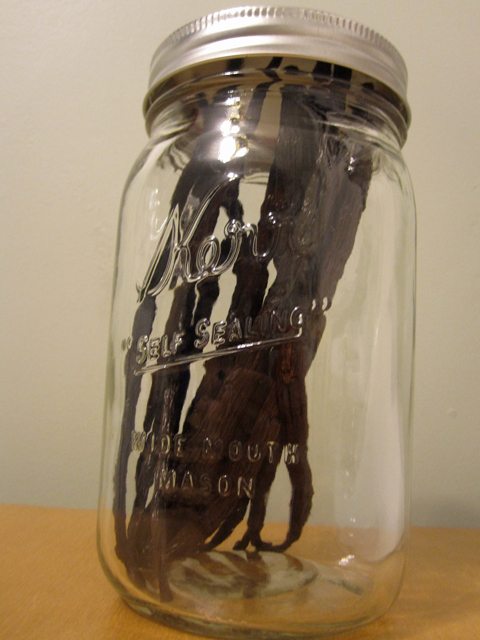 Store your vanilla beans in a cool, dark space in an airtight container. It’s ideal to put it in a cabinet with all your other spices, not near your oven (which emits a lot of heat from the stove and oven). 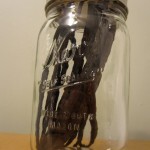 Vanilla beans can be stored 1 to 2 years if handled properly. 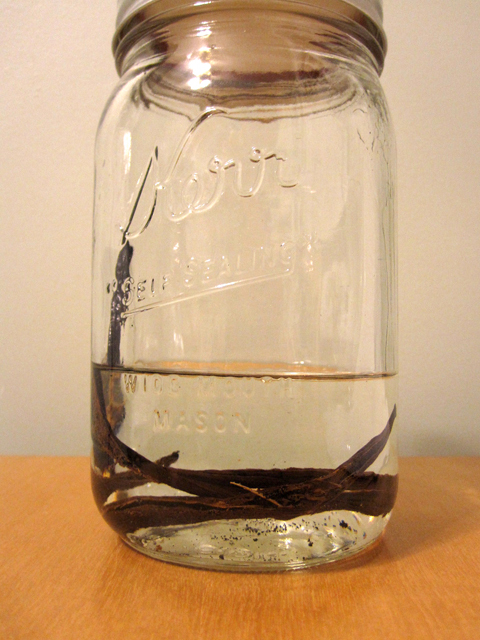 Some people recommend exposing the moist vanilla beans to air every few weeks and then returning it to the airtight jar to avoid mold. I personally haven’t done this. Edit: I recently shot a quick tutorial video on how to use vanilla bean pods and posted it on my YouTube channel. I was shaky because I had to rush out and do a radio interview immediately afterward, and then I had to yell at my beagle for trying to steal butter off of the counter right in the middle. Sorry about that. 🙂 I’ll shoot another soon when I have more time and I promise it won’t be as awkward! 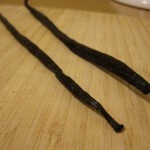 I have never used a vanilla pod before,but I have bought a couple for a Liqueur recipe. Can you send me a video or info on using the pod please? Thank you.